Thrifty and Frugal Living: Visa Checkout Offer for 500 SB [US ONLY] - ONE Day Only! Visa Checkout Offer for 500 SB [US ONLY] - ONE Day Only! On Wednesday, August 12th ONLY click on the Visa Checkout Special Offer on Swagbucks.com. 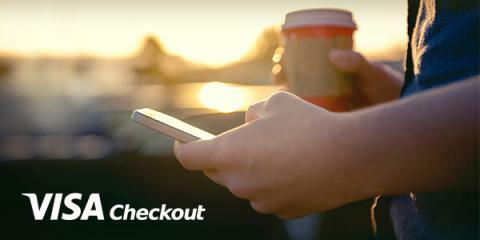 Create an account with Visa Checkout. Link a Visa credit or debit card to your Visa Checkout account (you MUST link a Visa credit or debit card to be eligible for the 500 SB). Once completed you will earn your 500 SB immediately! You will not need to make a purchase. Note that you must have a Visa credit or debit card to complete this offer, and that this offer is for US members only. Not a Swagbucks member yet? Sign up here to take advantage of this one-day-only opportunity!